VIP Israel Family Trip! Take Your Family to Miron for $36! Win 6 Round Trip Tickets to Israel with VIP Service. 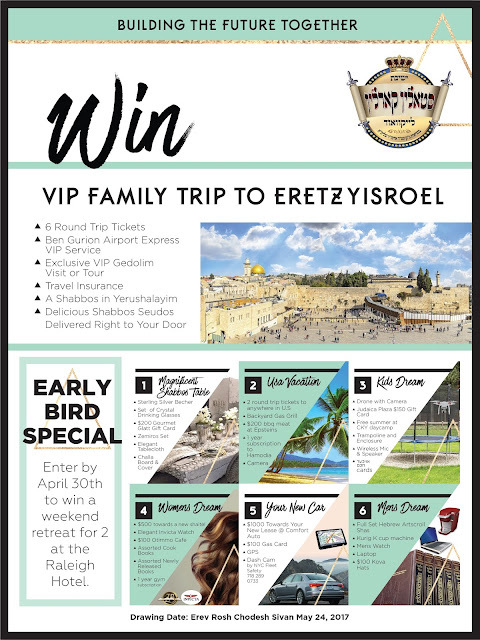 An Amazing opportunity at your fingertips: Win a VIP family trip for 6 to Israel, starting at $36! and Exclusive VIP Gedolim Tour.